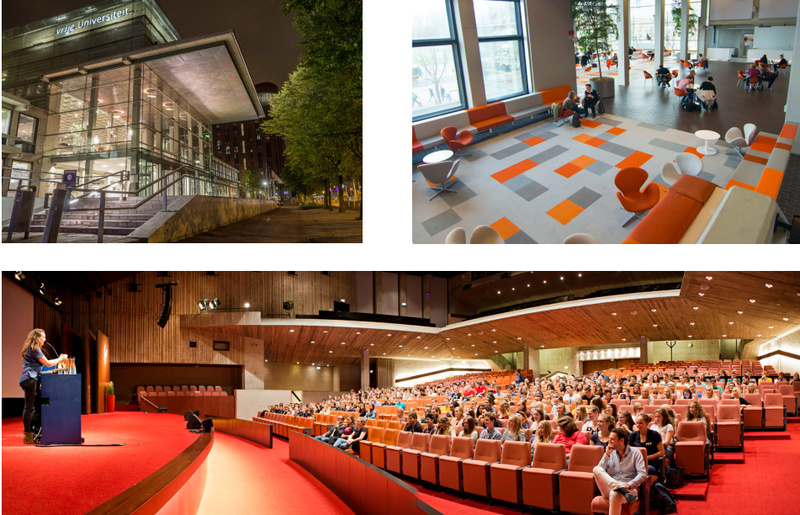 The conference venue for the 5th World Conference on Research Integrity is Vrije Universiteit Amsterdam. The university offers good conference facilities. Annually over 300 conferences, symposia and courses are organized in the main building of the university. The campus of Vrije Universiteit and VU University Medical Center are situated in the south-western part of Amsterdam, one of the most dynamic and fastest-growing business districts in the Netherlands. Amsterdam Airport Schiphol is 10 kilometers away, just 8 minutes by train. The Vrije Universiteit can easily be reached by car, train, tram, metro and Bus. Route description to Vrije Universiteit. Vrije Universiteit Amsterdam is a rapidly growing university with more than 24,000 students and over 2,700 academic staff, from the Netherlands and abroad. Responsible scholarship has been a priority at the Vrije Universiteit Amsterdam for the past 134 years. Research is organized in interdisciplinary research institutes. Both research and teaching at the Vrije Universiteit are conducted in service of society. Vrije Universiteit currently ranks number 98 on the Academic Ranking of World Universities 2015 (Shanghai Ranking). The Aula will be used as plenary lecture room (900 seats). At the university there are ample lecture rooms with 60-200 seats. The largest parallel session rooms, Auditorium and KC-07, are both located in the direct vicinity of the Aula. For the other parallel sessions and the pre-conference events smaller rooms can be used. All lecture rooms are equipped with modern audio-visual facilities. Coffee breaks and lunches are included in the registration fee and will be provided in the attractive exhibition and poster area.